Kingsford Amofa-Agyemang is the founder and the lead lawyer in KAA Law . He also doubles as the Managing Partner of the larger company Valuation & Appraisal Consult. Kingsford is a lawyer with core training in property and land law. He has over 15 years in private practice in property issues. He is a member of Ghana Bar Association with very active practice in Accra. Initially trained as a Land Economist from the University of Science and Technology, Kumasi, Ghana with a BSc (Hons) degree in Land Economy and a business reengineering skills with an Executive Masters in Business Administration Degree in Finance from the University of Ghana Legon. He is both a member of the Ghana Bar Association and the Ghana Institution of Surveyor (GhIS). Mr. Amofa-Agyemang is experienced in Land and Property Law having had years of collaborative practice with the Pricewaterhousecoopers on varied corporate legal and property related assignments. He has virtually become a walking encyclopedia of land law. Before forming KAA Law he worked with a law firm called Kulendi at law where he was the Lead Lawyer in Property Law. He is very familiar with the property laws in Ghana. Since forming KAA Law he has been the lead lawyer in the firm leading the team in several negotiations and litigation assignments. His judgments on land law have been impeccable over the years. Mr. Amofa-Agyemang is also an experienced valuer of fixed assets, landed properties, farms stocks and equipment, land acquisition, development and management, estate management and property investment appraisal. He has consulted for a number of local and multinational companies through his collaboration with Pricewaterhousecoopers and other organization. 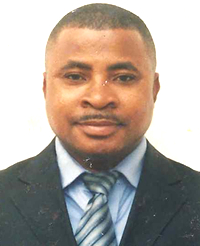 He has consulted for companies such as MTN on property acquisitions and registration. He was the main consultant that carried out land acquisition for the West African Gas Pipeline Company, a US$ 600 World Bank project for Ghana, Nigeria and Benin. He has consulted for the Canadian High Commission in Accra for over 6 years. Felix has over 20 years practice as a lawyer. He is a member of Ghana Bar Association. He is also trained as a banker and worked as a corporate lawyer with the Social Security Bank for over 10 years engaging in litigation, negotiations and advisory services. He was also the lead lawyer in the protection and documentation of titles to the Bank's landed properties. Since joining KAA Law he has been involved in all major assignments of the company. Roberts is an associate with very strong skills in human rights and constitutional law. Initially trained as a finance experts and having worked as a banker with the Corporative Bank, Roberts took a law degree and was called to the Ghana Bar 8 years ago. He worked as the Director of Legal and Administration with the Ghana Commission on Civic Education. Since joining KAA Law as associate, has developed keen interest in property and corporate and labour law. He is very meticulous and has become our de-facto quality control expert in KAA Law. John has a background in labour our and industrial law practice. He has a degree in Law and geography. He had an exciting practice with the Social Security and National Insurance Trust (SSNIT) for over 12 years where he worked as an industrial relation officer and later as an insurance lawyer defending the company in several insurance litigations and negotiations. Since joining KAA Law he has been involved in all major assignments of the company. Kojo, is a professional planner and a lawyer. He read BSc. Dgree in Physical Planning before branching into law. He is a promising lawyer. Although he is only 3 years at the Bar, his expertise in planning law is recognized and respected. He is a very talented advocate and his persuasive skills are admirable. 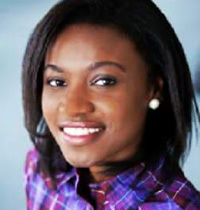 Dorcas is a graduate law student from University of Plymouth, UK, with a Bachelor of Laws (LLB) in 2015.She is a member of The Honourable Society of Inner Temple, UK and enrolled on the Bar Professional Training Course at Northumbria University.She had an exciting practice as a Gateway Assessor with Citizen Advice Bureau at UK and volunteered at British Red- Cross Society. Currently, she is an intern at KAA LAW and has been involved in Insurance and Compensation claims, Drafting legal letters and conducting legal research. Sophia holds a Bachelor of Laws degree from the University of Ghana, Legon and a Bachelor of Science degree in Land Economy from the Kwame Nkrumah University of Science and Technology, Kumasi. 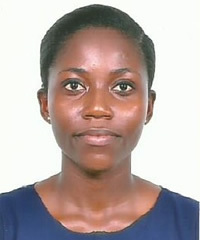 She is currently a trainee of the Valuation and Estate Surveyors Division of the Ghana Institution of Surveyors (GhIS). Sophia has diverse experience in undertaking land registration and documentation exercises as well as legal drafting, insurance, valuation and compensation exercises. She is currently with KAA LAW as an assistant legal research officer and doubles as a valuer in its sister company; Valuation and Appraisal Consult. Her interests are singing and teaching children.